Well, strangely enough, up until yesterday I was totally indifferent. A fact that surprised even me. I’d seen the promotional stills floating around the internet, I’d caught bits of teasers before skipping them on Youtube. It wasn’t that I was disguised, or “triggered” that my childhood was being interfered with. I just didn’t care. Nothing about it interested me. It all just seemed so derivative, especially in this period of superhero overload in cinemas. I finally did see the full trailer for the Power Rangers movie yesterday and while I still can’t find the emotion, for a series I used to love so much, I’m pretty sure this isn’t a movie I’m remotely interested in seeing. It’s got nothing to do with my feelings for the series, nor my well documented feelings on remakes and dipping into nostalgia for sequels. It just doesn’t look like a very good movie. Let’s get back to the very start first though. Power Rangers was a Sentai show. Which is a Japanese brand of television in which a fighting force dressed in colourful costumes do battle with evil monsters. It’s a popular and well known children’s television genre over there. 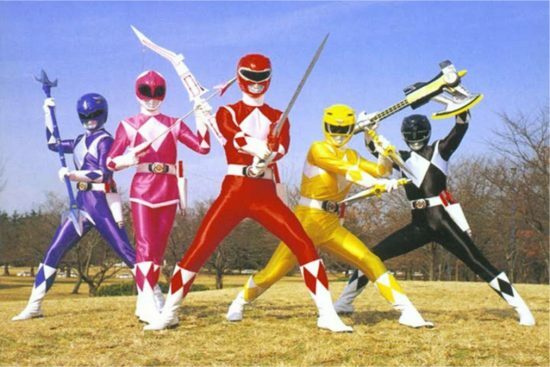 The original Power Rangers, dubbed the Mighty Morphin series now, was a way of producing cheap, children’s television. The idea was that they get a bunch of actors in, film half of a show and then the more flashy (and expensive) parts involving coloured spandex and men in giant robot suits would be appropriated from the Japanese shows and dubbed over in post. What the people behind this; Saban, didn’t count on was the explosion in popularity. Kids wanted more Mighty Morphin Power Rangers, but there was only so much Japanese stock footage to make use of, so the series eventually spun off into the various different subtitles like Zeo and Turbo. This thing is, most people who look back at Power Rangers and remember them from their childhood don’t realise that the show never went anywhere. Saban have been producing shows in the same way pretty consistently for the past 24 years, making use of different Sentai shows and creating new series every season. Hell, Nickelodeon just started airing Power Rangers Ninja Steel this month, which is like the 20th series after Mighty Morphin ended. 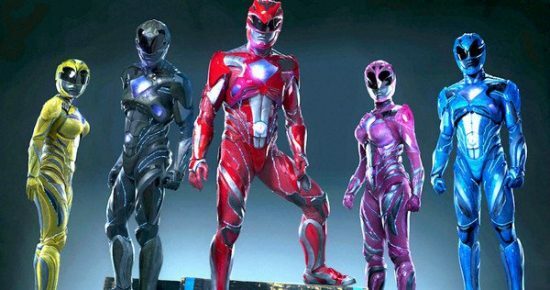 So it really makes me ask the question; who is this new Power Rangers movie for? It can’t be something to introduce a whole new generation of kids into the franchise, because Power Rangers is going strong as I said. They don’t need that help, plus that series is over, for a long time now. So, that would mean the movie is a piece of nostalgia for the original audience. People who are now in their late 20s and early 30s. If that’s the case, why does the trailer for this movie looks like a generic superhero flick aimed at teenagers. I’m sure this movie will do just fine, and my Facebook timeline will be filled with people of questionable movie taste raving about how this movie was great. But I’m cynical and bitter enough to see this as nothing more than nostalgia milking and that alone isn’t enough for me anymore. Watching the trailer, it looks like they’ve taken a mad libs plot writer and just filled the gaps in with Power Rangers stuff. It’s about a group of strangers and misfits who all come together and maybe accidentally stumble upon superpowers. It’s a trope in these movies I’ve seen so many times before. In the original show, the rangers were all friends already, not only that they were intelligent, athletic and capable individuals. Not the self described screw ups that the trailer points them out as. If you’re going to chose someone to become a superhero team, surely you’d pick the kids who are great at everything over the outcasts and rebels. All that tells me is we have a movie of snarky banter and bickering to look forward to. So we have our team of multicultural drop outs together all having their Spider-Man moment of waking up and suddenly having abs in the mirror, and lets not forget their Wolverine moment of not knowing their new powers and destroying a sink. (Although I don’t remember the rangers having superpowers outside of their suits in the old show…) And they come to terms with their powers as a woman summons hoards of ill defied rock monsters to wreak havoc across Angel Grove. I mean they’re supposed to be putties but why put a man in a suit when you can CG a giant turd looking thing. 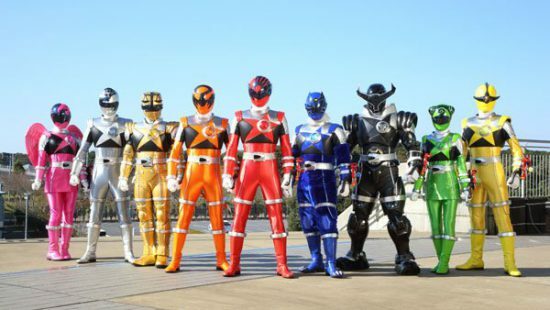 The original Power Rangers as we know them were called Kyōryū Sentai Zyuranger in Japan. They were basically thawed out cavemen descended from dinosaurs. And Billy is black now, not the black ranger mind you. He’s a black dude who is the Blue Ranger, and the black ranger is an Asian dude. And the yellow ranger is Hispanic? I was too young to pick up on the inherent racism that apparently went along with the black ranger being black and the yellow ranger being Asian, and a woman (It was a dude in that suit you know). So changing them seems odd, but still understandable to be honest. What does seem strange is how the trailer makes a point to address the change and make a joke about it. The classy thing would have been to change them and not hang a candle on it. Then we get to the CGI overload section of the trailer. I’m not relay a CG naysayer. It’s an important and integral part of modern film making. And to expect a lot of practical effects in this show akin to the original is just naive. My problem is though, that while it’s to be expected that there’s going to be an excess of computer generated images on screen, their designs are all terrible. I just don’t like Alpha at all. All of the villains look like literal piles of crap. The putties are just nondescript rock things and what I assume to be Goldar is just a weird shimmering shape. Conversely, everything on the heroes side is overly designed. Like the Michael Bay Transformers movies, everything it a little too detailed on screen. As a result, it’s hard to watch and parse out what you’re looking at besides a moving pile of constantly shifting mechanical parts. There is some grace in keeping things simple you know. 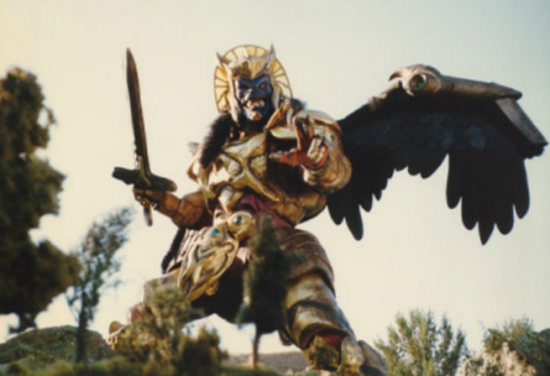 What the hell happened to Goldar? It comes back to me not knowing who this movie is supposed to be for. It mostly disregards the original material, character personalities, character designs and even the tone. It’s why remakes frustrate me, they use a name but fail to have any reverence or respect for what that original product actually was. In the end it comes down to my original feelings. Remake or not, nothing about this movie looks like its for me. If this is anything than a generically written superhero origin story with too much CGI and not enough actual talent on screen, then otherwise I’m happy never thinking about this movie again. Posted on January 25, 2017 December 24, 2017 by WooderonPosted in Features and/or Ranting:, MoviesTagged bryan cranston, goldar, megazord, mighty morphin, movie, power rangers, remake, sentai, zordon. I completely agree with your assessments. In my opinion, I think that there are certain things that just can’t be and shouldn’t be remade and I think Mighty Morphin Power Rangers is one. In the 90s we may have not have had the technology like we do today to put into movies but I think it is that same simplicity that made this show great. As a kid born in the 90s I remember watching awesome movies and shows from the 80s and 70s like the Goonies and Pete’s Dragon so I don’t see why there is this huge emphasis on modernization now. If an old show or movie is good it’s good regardless of when it was made. I do think that a lot of the original viewers of the original Mighty Morphin Power Ranger (me not being one of them) will watch the new modernize one just to give it a chance but I also think a lot of them will leave theaters disappointed because the movie fails to reach out to them just like Girl Meets World failed to attract the original viewers of Boy Meets World. Maybe they should have made a remake of a less popular show from the 90s like Big Bad Beetleborgs (now these kids are the ones who had powers outside of their suits). If you look around the internet, a lot of the fan made projects that rely heavily on the Power Rangers licence are a lot darker and gritter. They’re made for people who watched the show in their childhood, and are now, like me, in their late 20s. If this movie had actually cared enough to want to be good, it would have been aimed at people like me and been a film with a much more serious tone, like a Logan for example. What they’ve done is took the easy route of an easy cash in and made what is probably going to be a carbon copy of Michael Bay’s Transformers.